The AquaProfiler® is a line of acoustic doppler velocimeter flow meters for permanently installed and portable applications. 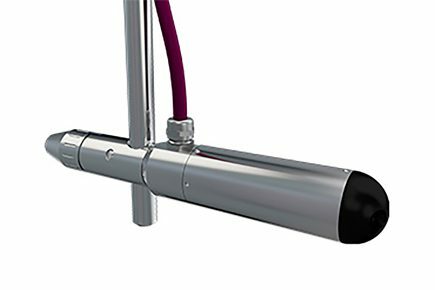 The AquaProfiler® precisely measures water velocities in open channels and pipes. With its high accuracy and competitive cost, the AquaProfiler® is a perfect choice for long-term real-time monitoring or to obtain instantaneous measurements where time savings are an important aspect. It uses advanced Doppler technology to establish the velocity in many separate space points (cells) along the measurement axis and develop the flow profile.